Besides being able to give you legal advice, protect your legal interests, prepare the necessary documents and represent you in court, an experienced family law attorney can also provide you with a valuable outside perspective on your divorce. You may be too close to some of the issues to see what is truly in your best interest without the help of a knowledgeable, objective observer. The more complicated the divorce, the more it becomes necessary to hire a lawyer to protect your interests. If there are children in the marriage, there will be custody and support issues, and you should definitely have a lawyer representing you. If there is a lot of property and debt to distribute, or if one party will likely be paying spousal support (alimony) to the other, an attorney is definitely advisable. However, if there are no contested issues and you are confident that everything can be worked out amicably and that you will not be taken advantage of, it is certainly possible to obtain a divorce without legal representation. What should I expect from my first meeting with a lawyer? Bring all documents with you that you think would be helpful, including financial records, a list of assets and debts, etc. Be prepared to discuss all aspects of your case. If you have questions, write them out in advance so you will remember to ask them. Your attorney can only help you if you are candid and open about all the issues in the divorce. Remember that your conversation is confidential and will never be revealed to another party. Your attorney should answer all of your questions to your satisfaction and should be able to describe the process to you in general, as well as give you an expectation of challenges and possible outcomes in your case. A thorough case evaluation may not be available at the initial meeting; your lawyer may need time to investigate the law and facts in order to form a clearer picture of how the proceeding will likely progress. Can both parties use the same lawyer? It is unethical for an attorney to represent multiple parties without a knowing, voluntary agreement by both parties, and only if the interests of the parties are not adverse.  In a divorce proceeding, the interests of the parties are nearly always adverse. In a rare instance when the spouses had already agreed on all the issues and only need an attorney to file the papers and formalize the process, it is possible that one attorney could handle the divorce. But in greater than 99 percent of the cases, it would be necessary for each party to have their own lawyer. Can I sell property to afford to retain an attorney? In general, you have the right to spend your own separate property any way you see fit. Your separate property is basically the property you acquired before marriage, or during marriage if it was a gift or bequest (as in a will) directly to you. Everything else is marital property and shouldn’t be spent without consent of both parties. If you pay for your attorney out of marital property, your portion of the property settlement may be reduced accordingly. If both spouses can agree on the issues to be decided, such as the property division and payment of spousal support (alimony), a full trial is not needed. Rather than imposing the court’s own disposition of the case, the judge will approve the agreement of the parties. If issues of child custody and child support are involved, the court may scrutinize the agreement more carefully before approving to be sure it is in the child’s best interests. One party files a petition with the court and serves a copy on the other party. The other party then files a response to the petition, in which the party may also allege a cause for dissolution of the marriage and ask for relief. A hearing date will be set, and the time before the hearing will be spent in discovery, which is the process of collecting testimony, records and other evidence necessary to prepare a case. In order to file for a divorce, at least one party must have lived in the state for six months. Grounds for the divorce must be alleged. Oklahoma includes a no-fault ground for divorce based on the incompatibility, so actual fault-based grounds such as physical abuse or mental cruelty, adultery or imprisonment need not be proven. How long do I need to wait after the divorce is final to get remarried? Is my recent marriage eligible for annulment? If the marriage occurred within six months of a divorce of one of the spouses, the marriage may be annulled. Child support is based upon the combined monthly gross income of the spouses, the number of children and other factors. Statutory guidelines can be found at 43 O.S. 118 to 120. The court may deviate from these guidelines if appropriate and in the best interests of the child. Child support orders may be modified by the court upon a showing of a material change in circumstances, such as a change in the child’s needs or expenses, a change in the parents’ income or if the child reaches the age of majority or otherwise ceases to be entitled to support. How much alimony should I expect to pay? If I remarry, will I still receive spousal support? Either spouse may be required to pay spousal support (alimony), and it may be temporary or permanent, periodic or lump sum. The court has discretion to award alimony as it thinks reasonable, just and equitable. Support payments cease upon the death or remarriage of the recipient. The recipient may be able to have some amount of payment continued if he or she can convince the court that the payment is necessary and it would not be unfair to continue it. If the recipient lives with another person even without marrying, that too is grounds for modifying or terminating support. What are the steps to get guardianship of my grandchild? A petition for guardianship is filed in the county where the ward lives. A hearing date is set. Notice of the hearing must be served to certain interested persons, which is outlined in the law. If the court decides at the hearing that a guardianship is necessary, a guardian is appointed. The guardian will be required to report at least annually to the court regarding the condition of the ward, including the ward’s finances. You must be able to show why a guardianship is necessary, including why the parents are unable to care for the child, and why you are qualified to serve as guardian. A Handbook for Relative Guardianship can be found here. The questions above are only a sampling of the questions we are asked daily in our office. 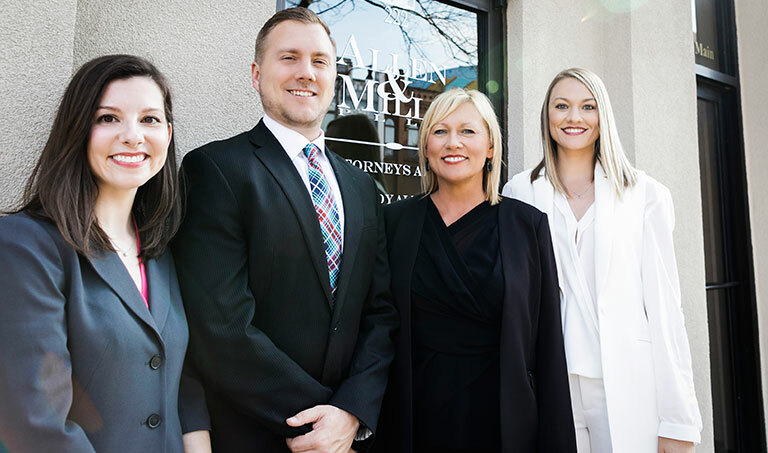 If you have further questions or need immediate assistance in a divorce, adoption, guardianship, paternity or other family law proceeding, contact Allen & Mills, PLLC to speak with an experienced attorney who will aggressively protect your rights.